I spent last week in Amherst, Massachusetts, enjoying all things Emily Dickinson as part of a National Endowment for the Humanities Landmark Workshop. It was great to immerse myself in poetry and place for a week with other like-minded folk. As part of the workshop, we spent time at Dickinson's house and in the archives examining her manuscripts and things (English teacher fun!). One of the things I found interesting was Dickinson's own affinity for baking. 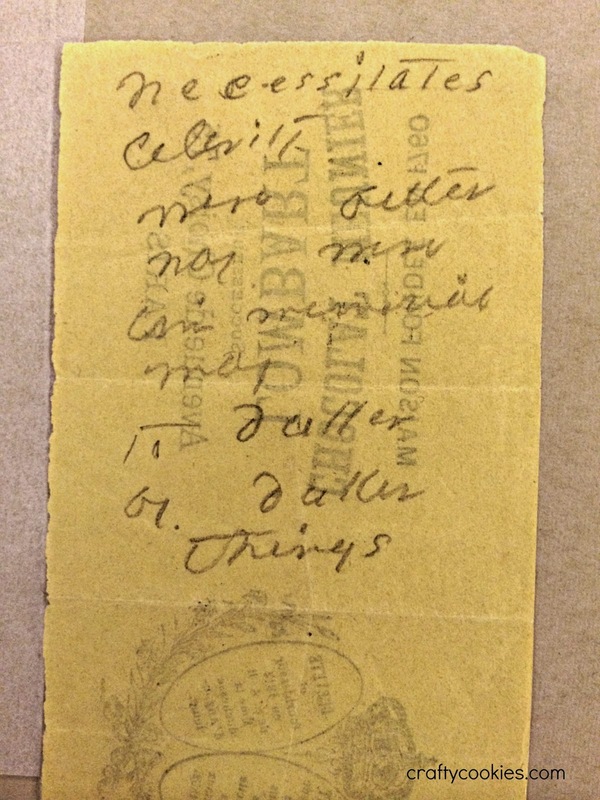 We saw a poem written on the back of a recipe and another on a the back of a chocolate wrapper, shown below. Amazing. I bought a cookbook of Dickinson's recipes at the museum gift shop, and can't wait to try out her gingerbread and coconut cake recipes. 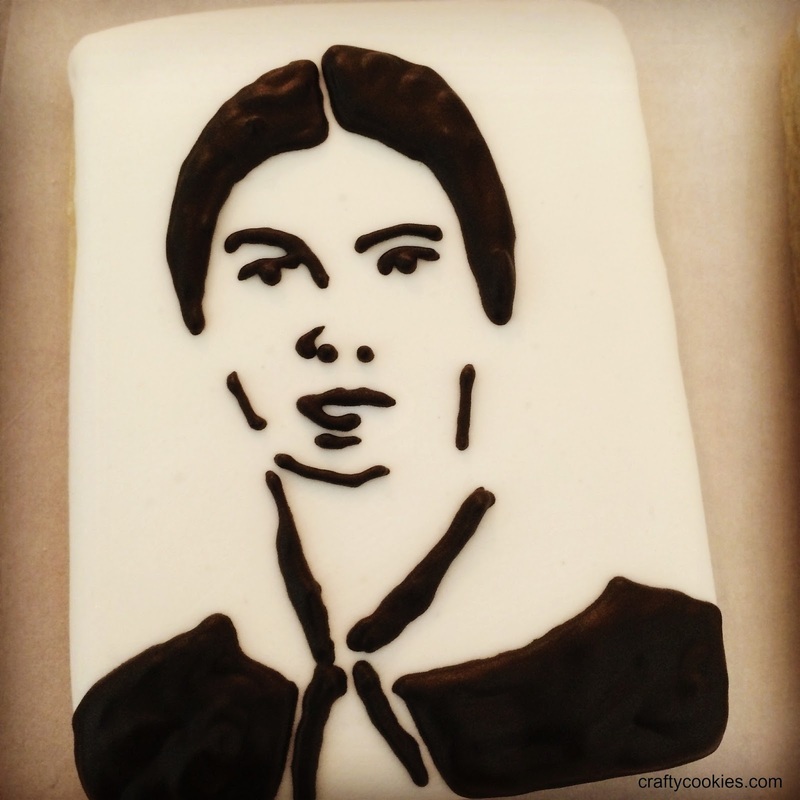 I knew before the weeklong workshop was over that I had to make Emily Dickinson cookies and send them program coordinator. Having been to a lot of workshops as a teacher, this was easily the most organized and well-thought-out program. Invigorating and organizing things for 40 teachers is not an easy task, and I was amazed at how seamlessly the week progressed. 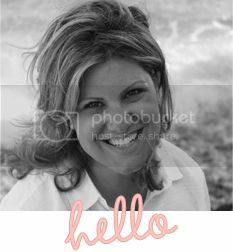 I found clip art online of Ms. Emily and drew from my own experience in viewing her original pictures to inspire these cookies (shown at top). 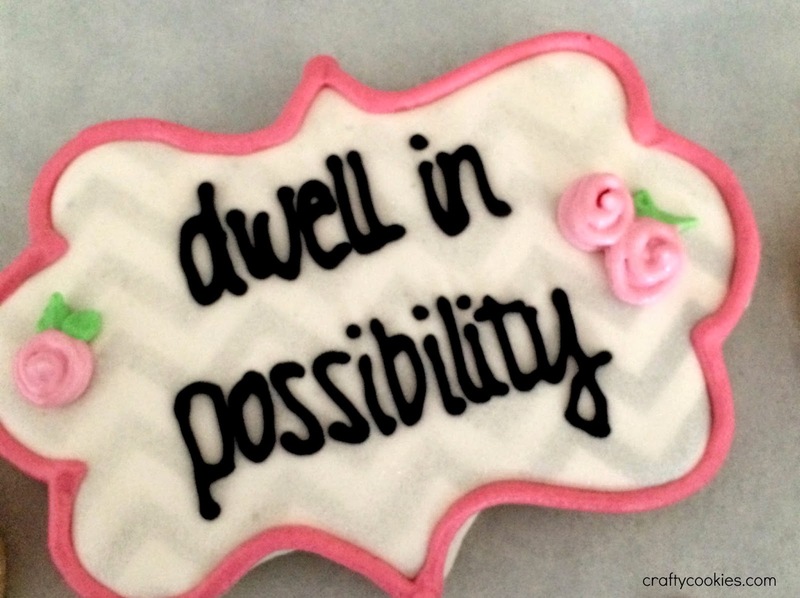 I also created some plaque cookies with the phrase "dwell in possibility," taken from one of Dickinson's poems. I used a chevron stencil and silver food color spray to make the background. I like the extra dimension it gives the cookies.